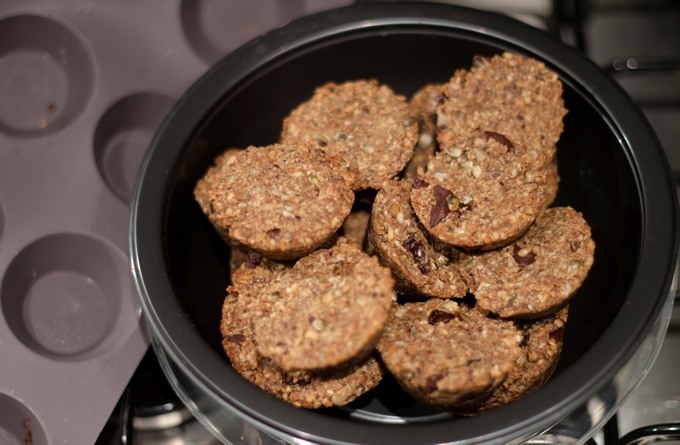 If you're looking for a healthy vegan snack, packed full of energy and a twist of sweetness to tickle your tastebuds, you're going to love these 3-seed peanut butter & chocolate granola bites. 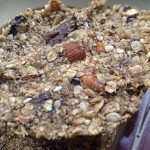 Now, if you're looking for a vegan granola bar recipe, no worries, this is perfect. 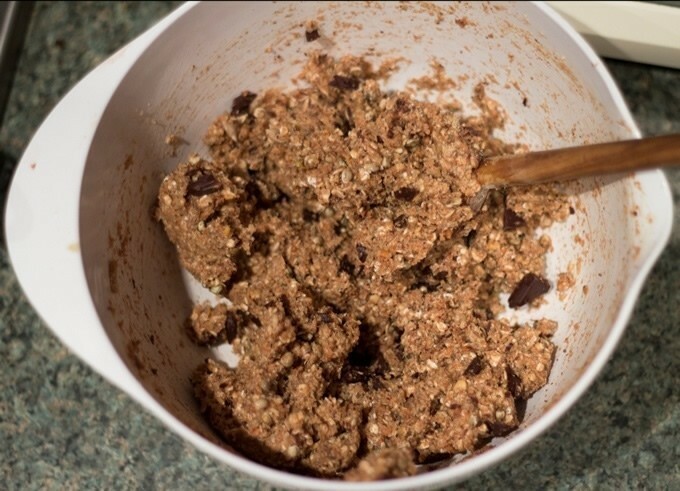 You can use this exact same recipe, but instead of separating into bite-sized portions, mould the ingredients into bars to bake instead. 2. Mash bananas in a large mixing bowl. 3. Stir in peanut butter, maple syrup and cinnamon with a wooden spoon. 4. 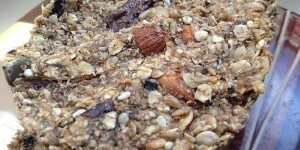 Add the wheat bran, soya bran, ground almonds and seeds, stirring after each ingredient. 5. 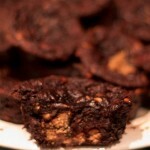 Mix in chocolate and date pieces. 6. 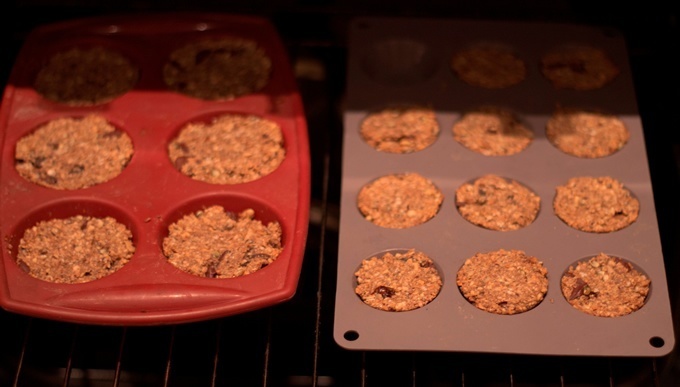 Drop spoonfuls of the mixture into silicone muffin trays, patting it in with a wooden spoon so that it is compact. 7. Bake for 20-25 minutes until browned and crispy around the edges. 8. 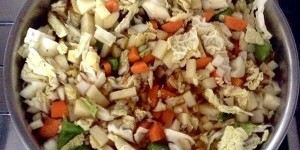 This is an easy recipe that can be made using one bowl for easy clean-up! I use silicone baking trays so there is no need to grease or use cupcake liners. 9. Makes 12 large muffin sized snacks, 24 mini muffin sized bites or 6 large and 12 small. 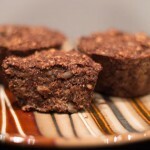 These are great to pack for a snack or to have before or after a workout.